Whether you’ve been in the online gambling industry for a long or short time, chances are you’ve heard of some supposedly truthful beliefs about online slot games. However, some beliefs are just myths. We’ll talk about some common myths regarding online slot games. The truth is that online slots can enter a winning streak allowing players to win on a regular basis. Also, online slots can enter a losing streak making it hard for players to win. However, online slot developers do not program casino games for winning or losing streaks. The streaks are always random, so a hot or cold streak is statistically possible. This is also a false statement because online slot outcomes are completely arbitrary and no one can predict the next win. If no player has won anything for some time, there is no guarantee that you’ll win in the next round. Many people believe this statement, but the truth of the matter is that it’s a fallacy. You can win a jackpot at any given moment because all spins are completely random. Interestingly, some people believe that you are unlikely to win money if you use bonuses. However, this is just a misconception. Online slots are Random Number Generators (RNGs), so it doesn’t matter whether you are playing with bonuses or not. 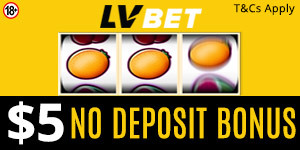 The odds and RTP rate will remain the same whether you are using your casino deposit or bonuses. To be honest, this statement is somewhat true. Slot players tend to look for new slots if they start chasing losses. Casinos are aware of this behavior and thus seek to provide new alternatives to satisfy everyone. Are you aware of other myths about online slots? Have you ever held any of the abovementioned beliefs? Feel free to share your thoughts with us.